Is Your Business in a PBX Upgrade Cycle? Buying a PBX in 2010 equated to a vote for ratcheting-up employee productivity, argue analysts at the Eastern Management Group. A new PBX, costing $1,200 per seat on average, gave companies permission to hold the line in other areas, according to John Malone, Eastern Management analyst. The argument is that companies upgraded phone systems as an alternative to hiring people. In part, that view is driven by information technology managers who say productivity improvement drove 38 percent of all PBX purchases in 2010. This was 15 percent more responses than the "needed a new PBX to replace an old one" justification. Company relocation and company expansion were responsible for only a modest proportion of PBX sales worldwide, says Malone. But other explanations are possible. The survey data suggests that about half of respondents in four out of six size categories are in a "PBX upgrade cycle." Granted, many of us do not follow the PBX market, so perhaps that is a "typical" percentage of firms actually in an "upgrade" position in a single year. Many of us might guess the number of firms looking to "upgrade" ("replace") a business phone system in a given year might range between 14 percent and 16 percent. A response ranging from a low of about 35 percent up to about 50 percent might strike an observer as unusual. The global market for PBX systems in 2010 was $59 billion. This is $7.5 billion larger than 2009, Eastern Management says. The vote clears the way for the separated network business "Chorus" to list on the New Zealand stock exchange and raise NZ $929 million of government funding to lay fiber-optic cable to homes and businesses in 24 of the country's largest cities, including Wellington and Auckland. The national network is expected to cost NZ $3.5 billion. Executives in Singapore might disagree, and Australia has been on a parallel track for years, as well. The idea hasn't been much of an issue in the U.S. or other western hemisphere markets, though the idea was raised briefly during the early 2000s. S. 1364, The Telecommunications Fair Competition Enforcement Act of 2001, introduced by then Sen. Ernest Hollings (D-S.C.), provides an example of the past interest in structural separation. Under structural separation, then-existing companies Ameritech, Bell South, Pacific Bell, SBC and Verizon, among others, would have to separate into two parts. The retail arm would have to buy and provision services from the wholesale arm. From time to time the issue still is raised by policy advocates, but it still does not appear there is any serious interest in exploring structural separation in the U.S. market. One key reason is simply the different market structure. The U.S. market has a highly-developed, ubiquitous and successful cable industry that already has built national broadband networks that compete vigorously with telcos. At the same time, several national wireless networks also are competing to sell mobile and fixed broadband services, and while not perfect substitutes for fixed-line service, are credible substitutes for some applications and users. Structural separation so far has made much more sense where a credible, ubiquitous facilities-based network rival to the incumbent telco was not in place. In some isolated cases, an incumbent has been willing to give up its access network monopoly in trade for something the firm wanted more, namely the ability to compete in other non-regulated markets. 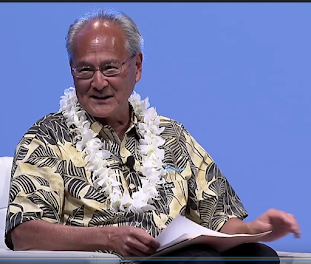 "Mac users are your HEROes and you should enable them not hinder them," he says. Forrester uses the acronym HERO for Highly Empowered and Resourceful Operatives, what it finds are "the 17 percent of information workers who use new technologies and find innovative ways to be more productive and serve customers more effectively." One might say that enterprises lost the battle decisively with the advent of the iPad, which is a tool enterprise workers are demanding and using in growing numbers. 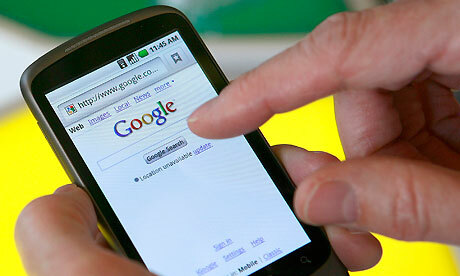 Google is preparing to launch a new service called GOMO that creates "mobilized" websites on demand. Mobile ads are an important revenue stream for Google, so much so that it offers a range of free tools to create mobile versions of existing websites. In addition to all these free services for mobilizing sites, Google is incentivizing good mobile content with its ad programs and even punishing sites that aren't mobile-friendly. Google is changing its AdWords program to reward mobile-optimized sites and adding +1 buttons to mobile ads. According to data from the GSM Association, some 109 such deployments had been implemented as of April 2011, spanning all developing regions. Only 11 of these are in developed countries, for perhaps logical reasons. Mobile payments systems that allow people to use their mobiles as a payment mechanism make the most sense in regions where banking and payments infrastructure is relatively undeveloped. Africa is leading the trend with 51 mobile money systems in place, and as many as 37 of the deployments are in least developed countries, says the UNCTAD report. Three broad categories of services now are coming to market. Money transfer services (domestic and/or international) are one type of application. Payment services (for airtime top-ups, bills, salaries, and other goods and services) are a second type of application. Use of mobiles to support financial services (savings, credit, insurance) are the third major type of application. Domestic money transfers, airtime and bill payments are the three most common services currently offered. You can view the report here. Brands now have to create and distribute content available "for free" when and where customers need it on social media platforms. The other corollary is that brands have to avoid "pushing" promotional information when consumers are looking for answers. While marketers like to use every media channel to deliver marketing promotions, you must understand consumers' shopping-related needs have evolved. They now want and access information before, during, and after they make a purchase. With U.S. smartphone usage at 40 percent, it's critical to offer customers the information they want and need wherever they are in the purchase cycle and physically (since they may be in your store or your competitor's). A rapid shift in attitude towards cloud banking is happening within the financial services industry, according to Gartner. A Gartner survey found that cloud is the top priority for global financial services CIOs and that 39 percent of those surveyed expect that more than half of all their transactions will be supported via cloud infrastructure and software as a service (SaaS) by 2015. As with most cloud initiatives, cloud banking might be disruptive. It can provide the ability for attackers or defenders to try completely new services and processes, such as reverse auctions and third-party core banking systems, for example. Successful new cloud services can displace the existing and dominant process for design, distribution or transacting in a disruptive way, rather than just incrementally improving them, says Redshaw. As banks progressively replace people in the value chain with algorithmic operations (AOs) to run processes and make decisions, their intellectual property increasingly resides in these algorithms. The value of people is not in running operations but in improving the AOs, Redshaw argues. Android is the only platform that has grown over the last year in all the key markets surveyed by Kantar Worldpanel ComTech. All the rest of mobile operating systems saw their market shares either stay flat or decline in at least one geography. Taking the markets of Australia, Brazil, Germany, Great Britain, France, Italy, Spain and the U.S., the Android platform grew its share of smartphone sales anywhere between 19.3 percent and 50.4 percent). Stanford University Memorial Church, where the eulogy was delivered. Are U.S. smart phone sales growing or not? It's a bit of a rhetorical question, as the issue is not whether smart phone sales are growing, but rather whether sales rates are declining, flat or growing. Third quarter results might not be a completely-reliable indicator, though. Are Smartphone Sales Cooling Off? Apple’s third quarter sales, for example, were most likely less than expected due to the coming iPhone 4S, which will have the likely impact of pushing third quarter sales into the fourth quarter. New product introductions often cause consumers to see what’s coming before they decide to make a purchase. In the market for Android-based phones, the situation is a little fuzzier. Most data shows healthy Android device growth. Android sales As with the iPhone, consumers wait to for the latest product, so a rapid pace of introductions can confuse consumers and slow sales, temporarily. One suspects that tablet interest is also partly at work. Right now, tablets are "the" hot consumer product category, and that has to be shifting discretionary income away from smart phones, toward tablets, to some extent. Google has just announced a set of new partnerships with over a dozen niche daily deal providers, which will now be integrated into the Google Offers service, both on the Web and in the Google Shopper mobile applications for iOS and Android. The new Google Offers partners include Dealfind, DoodleDeals, Gilt City, GolfNow, HomeRun, JuiceInTheCity, kgbdeals, Mamapedia, PlumDistrict, PopSugar Shop, ReachDeals, Active.com Schwaggle, TIPPR, and zozi. Some are skeptical about the long-term staying power of "daily deals" services. Certainly not all of the current providers will survive. But if you believe mobile wallet services will succeed, it will be largely on the strength of deals, offers and other rewards consumers receive, as well as the loyalty, retention and customer acquisition retailers benefit from. Mobile Wallet or Mobile Payment: What Wins in South Africa? Standard Bank operates its own virtual currency "mimoney," which consists of a voucher number delivered to the recipient's cell phone using a text message. SMS. The bank has also teamed up with retailer Spar on a peer-to-peer money transfer service, in which SMS vouchers are redeemed at Spar stores throughout the country. Explosive growth in pre-paid money vouchers in South Africa has killed the mobile wallet as a viable payment instrument, says Herman Singh, CEO of Beyond Payments, a unit of Standard Bank. Singh says that over R100 billion is generated in sales of prepaid airtime and electricity annually, while over 2.5 million money vouchers valued at over R4050 each, are created and redeemed every month in South Africa. There are a couple of noteworthy angles here, including the use of a virtual currency mechanism and simple text messaging for communications, as well as the prepaid method of payment. There is, to be sure, a clear argument that the leading developments in developed markets now are different than in developing markets. Mobile wallets and retail payments are bigger in developed markets because "banking and payments" are not "problems," while in developing markets these are key issues. Likewise, the preferred communication technologies in developed markets are different from developing markets. Text messaging is ubiquitous for users of feature phones that are typical in developing markets. Other technologies are feasible in developed markets where smart phones rapidly are becoming the norm. As a rule, mobile commerce, including both mobile payments and mobile wallet components, is a bigger issue in developed regions, while mobile banking--in particular remote payment--is a bigger opportunity in developing regions. This isn't the first time Accedian Networks has produced an animated approach to explaining a pretty esoteric technology topic. But it works. This time, Accedian looks at mobile backhaul for fourth generation mobile networks. Also, check out the return on investment calculator here. It's a practical tool for estimating the cost of various solutions, but also is crafted in a visually-appealing way. Third quarter earnings reported by SureWest Communications show how the independent telco business has changed over the last decade or two. The composition of revenue is most striking. Of total quarterly revenue of $63 million, "telecom" services (voice) represented just $15 million, of which consumer voice was just $3.2 million. In other words, all voice-related revenue now represents 24 percent of total revenue. And consumer voice represents just five percent of total revenue. Business voice accounted for $8.1 million and access fees added $3.6 million. What also is noteworthy is the emergence of new segments within the "business services" category. Of $13.6 billion in business revenue earned by SureWest Communications in the third quarter of 2011, about 24 percent was earned directly from providing wireless backhaul service. "Revenue growth from wireless carrier backhaul in the Sacramento market also provided a significant impact, and we are now billing for 280 connections that generate $3.2 million in annualized revenues," said CEO Steve Oldham. "We have contracts in place for 390 connections and anticipate over $4 million in annualized revenues when those sites are active." Though the sources are different, at AT&T wireline voice is contributing something on the order of 20 percent of total revenue as well. Bloomberg technology writer Rich Jaroslovsky has been testing the new Google Wallet, and at least for the moment thinks mobile payment and wallets are less about improvements in the payments process, and lots more about the marketing and promotion advantages. "This is really the secret sauce in mobile payments, because while, yeah, it is kind of a little bit more convenient, that isn't really what's going to get people to use it," he says. "What's going to get people to use it is the possibility that they can save money." Mobile payment more marketing than "payment"
Despite fairly widespread confusion about the matter, Sprint Nextel Corp. is only capping mobile broadband usage by customers using the Wi-Fi hotspot feature. Data consumed directly by Sprint smart phones remains unlimited. The disparity between smart phone and Wi-Fi hotspot data consumption explains the move. Jonathan Chaplin, an analyst at Credit Suisse Group AG, said he thinks Sprint will pay Clearwire between $6 and $10 per gigabyte of data, compared with the current charge of about $10, and he believes it will be close to the $6 figure. That's why Sprint changed its tethering plans, in large part, one could argue, though support for the Apple iPhone also likely played an important role in shaping Sprint's thinking. 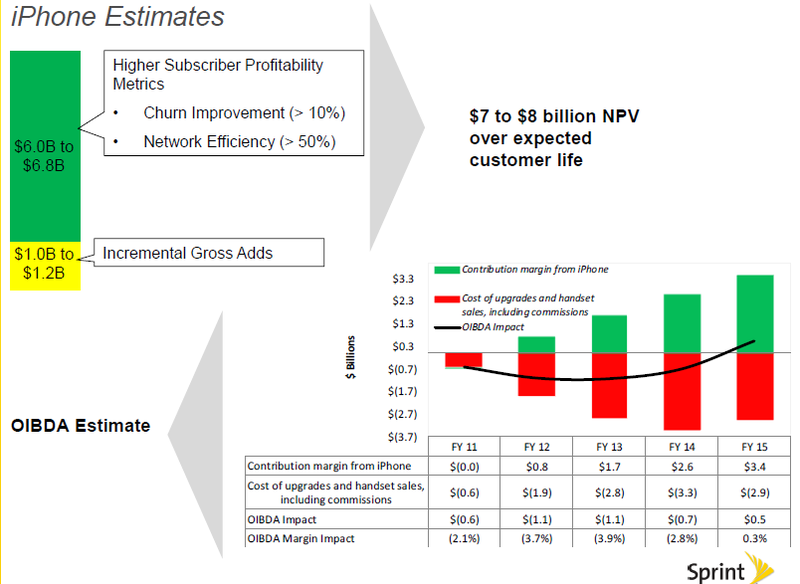 Of course, now that Sprint has negotiated a new contract with Clearwire, the economics will change. Under the new deal, Sprint pays Clearwire a flat fee for 4G access, so usage is no longer an issue for Sprint, through the end of 2013, at least. In the last 12 months (June 2010 to June 2011), the amount of data the average smartphone user consumes per month has grown by 89 percent from 230 Megabytes in the first quarter of 2010 to 435 MBytes in the first quarter of 2011. The point is that a typical smart phone user consumes 435 Mbytes. A PC user typically consumes gigabytes. At the 80th percentile and below, users consume 500 Mbytes or less each month. In the 60th percentile, users consume 250 Mbytes or less each month. The point is that the expected "breakage" between wholesale bandwidth cost and retail consumption and pricing is quite larger for a smart phone user, quite a bit less for a Wi-Fi hotspot user. As of 2011, international Internet bandwidth exceeds voice and private network bandwidth by a factor of 400 percent, says TeleGeography. Given the Internet’s dominant role in bandwidth usage, Internet capacity data is an excellent proxy for overall demand for lit bandwidth on long-haul wholesale networks. YouTube is launching 96 new channels, as part of its bid to create more original and professional programming in a context that is familiar and acceptable to advertisers. 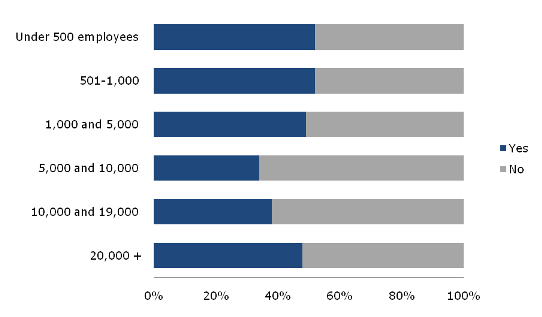 Very-small businesses, especially those with one to 10 employees, do not spend much money on their social media efforts. In fact, perhaps 42 percent say they spend nothing additional to support their activities, and perhaps 17 percent spend $100 or less on an annual basis, a survey by Zoomerang suggests. As many as 74 percent of respondents further say they do not employ anybody to manage social media programs. None of that should be terribly surprising. One of the attractions of using social media is that, while it takes time, it does not necessarily require incremental spending. Nearly half of the surveyed SMBs use social media to market to customers; of those, an overwhelming majority (86 percent) have Facebook accounts. The top three reasons SMBs use social networks are: connecting with customers, visibility and self-promotion. In other words, SMBs use social media for a mix of reasons, including lead generation and branding, loyalty and customer acquisition. The top three things businesses want to know from customers on Facebook are customer satisfaction with products, customer satisfaction with service provided, and ideas for new business promotions. In other words, "how do you like our products," "how do you like the experience of buying" and "what can we do to convince you to buy more?" Microsoft paints a world inhabited only by beautiful people, in which smartphones are about the size of a business card, and just about any surface you come into contact with has a touch-sensitive interface. Cloud connections as the primary form of content transference, whether that be from a phone to a book-like tablet, or from a tablet to the kitchen table. Interestingly, the “phone” type device (which no one actually speaks on throughout the whole video) sports a “live tile” interface very similar to the current Windows Phone Mango platform. There’s not a shred of paper in the video, which is bad news for the print industry should Redmond’s vision come to fruition. RIM’s vision of the future, like Microsoft’s, is one that’s heavily powered by touch. Meanwhile, BlackBerrys have grown to be considerably more robust, and are able to seamlessly integrate with screens and surfaces that extend their functionality. Working on a long email and need a keyboard? Set your phone down on a table or a countertop and a keyboard pops up next to it. BlackBerry Future Visions 2 from Evan Blass on Vimeo. BlackBerry Future Visions 1 from Evan Blass on Vimeo. Since marketing is a "staff" function rather than a "line" function, it is hard to measure results. That's not unusual, as it can be hard to measure the return on investment from lots of other business activities, ranging from finance and accounting to legal support or most forms of operations support that are not customer-facing. On the other hand, marketers "need to prove" to resource allocation authorities that return from content or other forms of marketing actually can be measured. That's the driver behind current desire for better measurement of social and content marketing efforts. Only 13 percent of respondents in a recent Chief Marketer survey thought they were very effective at measuring social media campaigns, while 47 percent said somewhat effective, 28 percent said not very effective and 12 percent said not at all effective. Data from the August 2011 Chief Marketer “2011 Social Marketing Survey” found that only 26 percent of marketing professionals saw amassing total followers as an aim for social media marketing. More popular goals included driving traffic to a website (66 percent), generating sales or leads (48 percent), and identifying and addressing brand fans (47 percent). If one is going to slam Netflix for investing in its future, one might as well add Amazon to this list. Amazon’s third quarter 2011 profits are down 73 percent and on Oct. 25, 2011 is being slammed in after-hours trading (down $28 a share). As also was the case at Netflix, revenues were up, in Amazon's case, up 44 percent to $10.9 billion. Orders for the new Kindle Fire apparently are substantially above what Amazon had projected, so Amazon is building millions more units than it originally expected. Amazon also is ramping up investments in the backend infrastructure to support all the digital media it expects people will want to consume on their Kindles, especially their Kindle Fires. Amazon spent $769 million on “technology and content” in the quarter, up 74 percent from a year ago. Sometimes companies have to take risks. Sometimes they have to invest. Investors don't like the quarterly fluctuations. Why Did Amazon Profits Take A Hit? It might not make as much sense for consumers to use multiple "mobile wallet services" compared to a single repository for credentials, but on the other hand there might be some compelling reasons to do so, as when a particular retailer does not support multiple wallet services. Also, despite the initial set-up of credentials in any wallet system, how much on-going hassle is it for a consumer to use multiple platforms? In some cases, the offers available on leading wallet services might be different, meaning consumers can take advantage of multiple offers. From a retailer's point of view, fewer is better, for logistical reasons. But in all cases, it is arguably true that mobile wallets have an immediate advantage for retailers that "mobile payments" do not. Mobile payments will require greater investment in terminal equipment and systems. Mobile wallets will also require some investment, but where a new "mobile payment" scheme offers questionable or subtle benefits for a retailer. Mobile wallets are a vehicle for customer loyalty, customer acquisition and probably average sale size as well. That's quite a bit more substantial and immediate than simply adding one new form of payment. "If the wallet doesn't have the merchant in mind, the relationship fails," says Phil Kumnick, senior business leader for global processing at Visa. "This should be about making the merchants' business better." Will Consumers Use More Than One Mobile Wallet? Mobile phones and tablets now represent 6.8 percent of U.S. traffic in August 2011, with approximately two thirds of that traffic coming from mobile phones. And users are shifting 37 percent of their mobile device access to fixed connections, using Wi-Fi. The percentage of usage grew nearly three percentage points in just three months. In August 2011, nearly 10 percent of traffic from tablets used a mobile network connection, a fact of some importance for mobile service providers, since that means additional revenue. France Telecom’s third-quarter 2011 profit fell by 5.2 percent to €3.99 billion. All regions in which it operates, except Spain, had negative results. In France, revenue dipped 4.6 percent. But France Telecom grew customers by 8.6 percent, pointing to a profit margin erosion issue. France Telecom attributes 1.7 percent of the revenue pressure to regulatory change. Some of the revenue weakness was caused by a delay in iPhone 4 availability, while slower SMS, voice and roaming income also played a role, as did declining home phone line connections. On the other hand, France Telecom is doing better on the market share front, and loss of landline accounts is slowing. Everything Everywhere, the joint venture with Deutsche Telekom’s T-Mobile UK, also saw revenue dip by 4.3 percent, with data and text messaging revenue growing 14 percent to comprise 42 percent of average per-customer revenue. To be sure, the key revenue trends France Telecom is facing have been in place since the mid-2000s. 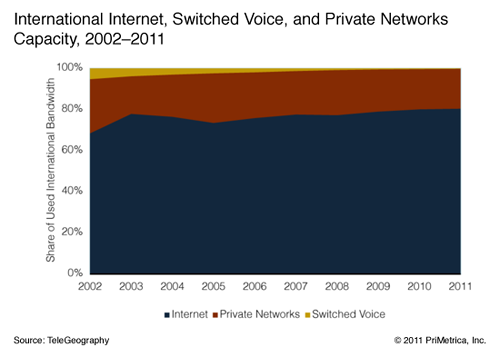 As data from 2007 shows, mobile operators were almost certain to see a shift of revenue from voice to other services in the future, if only because mobile voice essentially was saturated, calling prices were high and VoIP alternatives were coming. Also, a 2007 estimate of landline and mobile provider revenue contributors in five additional years showed about what one would expect. Analysts at the Yankee Group expected revenue from mobile data and TV, as well as broadband to be high-growth areas, and one would have to agree that has been the case. Beyond that, it has been much less clear what additional lines of business could fuel equivalent growth. Up to this point, France Telecom primarily has used out-of-region strategies to maintain its growth, a strategy that is not exhausted. Four public interest groups, including Free Press, have sued the FCC, arguing that the agency's net neutrality rules do not go far enough. The CTIA filing might strike some as odd, to the extent that the industry group is supporting mandatory "best effort only" broadband access. Sometimes, half a loaf is better than no loaf. The rules allow mobile service providers greater freedom to manage their networks, in principle also preserving the ability to create quality of service mechanisms. Even for service providers that operate both fixed and mobile networks, freedom for the strategic mobile business means it is an acceptable compromise to give up the ability to create quality of service mechanisms for fixed line broadband access. Of course, there already is a challenge to all of the rules, filed by Verizon Wireless, so fixed-line interests are not completely sacrificed as a result of CTIA support for the net neutrality rules. For some, net neutrality is about denying ISPs the legal right to create new revenue-generating products that create quality of service mechanisms, as this is said to create a "two tier" Internet. Sometimes people mistakenly believe it is about "content blocking." In the former case, if there are restraint of trade issues, they can be dealt with by the Federal Trade Commission. There is a legitimate concern that ISPs might favor their own services over rival services by applying QoS only to "owned" services, not to all services willing to pay for such QoS. But many would note that other remedies already exist for such situations. In the latter case, the FCC and all ISPs already have agreed that consumers have the right to access all lawful content. For others it is about both consumer choice and network management, in the former case the right of a consumer to buy services that optimize voice, video or gaming experiences, in the latter case the simple necessity of managing a shared resource. In either case, anti-competitive conduct can be restrained by either effective market competition or the FTC. Time Warner Cable grew its residential voice services revenue, but lost subscribers in its third quarter of 2011. The loss was slight, about 8,000 customer accounts on a base of about 4.5 million, but shows that voice is no longer a leading contributor to Time Warner Cable residential customer revenue growth. Neither is video, where Time Warner Cable lost 128,000 accounts. High-speed data continued to grow revenues and subscribers, but is was business services that are showing the fastest growth rates. Wholesale revenue was paced by mobile tower backhaul revenues. Apple iPhone 50% More Bandwidth Efficient than Android? "There is a misperception that our launch of the iPhone will increase the load on Sprint 3G network and require us to spend more 3G capital," says Sprint CEO Dan Hesse. "The reverse is true." "Even adjusting for more total new customers being added to the network, we believe it will put less load on our 3G network than they would have if we did not carry the iPhone." As a way of creating a viable and interesting revenue stream for YouTube, that has huge promise. Video music channels VEVO (60.6 million viewers) and Warner Music (30.9 million viewers) assumed the top two positions. Gaming channel Machinima ranked third with 17.7 million viewers, followed by Maker Studios with 10 million, Demand Media with 8.4 million and Revision3 with 6.6 million. Within the top 10 partners, TheGameStation demonstrated the highest engagement with 76.5 minutes per viewer on average. Machinima was a close second on average engagement at 72.6 minutes per viewer.